Jimmy Fallon, host of “The Tonight Show”, ran a competition in 2014 on live television to choose one car salesperson to sell him a new Ford F150. The contest? 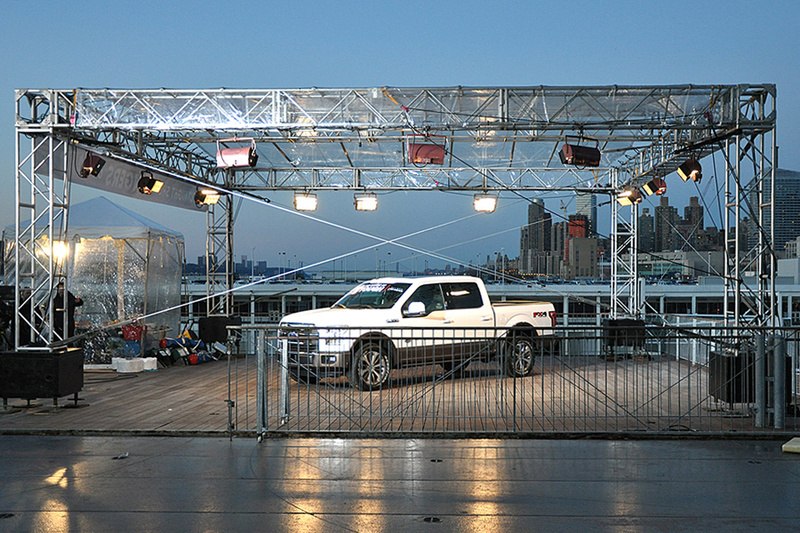 10 Ford salespeople placed one hand on a Ford F150 and the last one standing with their hand on the truck was declared the winner. The contest took place on the U.S.S. Intrepid in New York, and a winner emerged after a whopping 38 hours and 52 minutes! 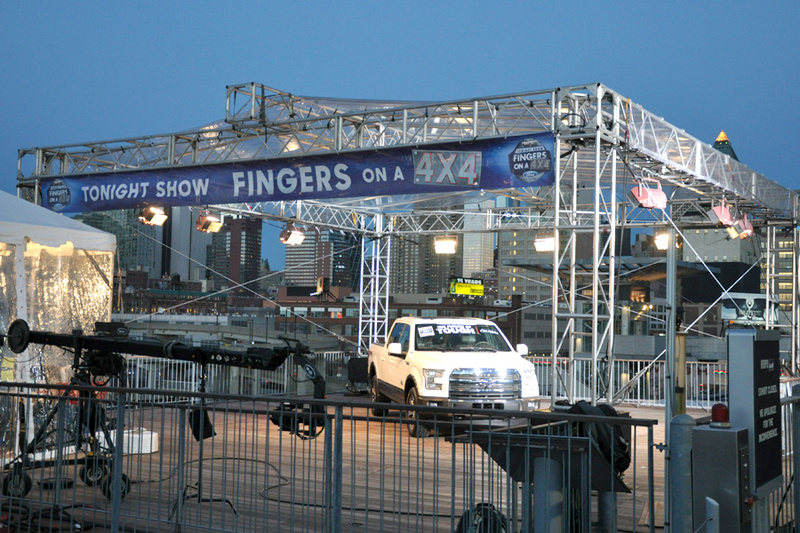 Mountain Productions took part in this contest as the staging provider for the event. Mountain built a truss structure built on the U.S.S. Intrepid with a clear vinyl roof panel, custom scrim branded banner, and a handful of lights that hung from the grid to light the event well into the night.